Ok we have seen weird things by big companies , but i think this will beat everything . 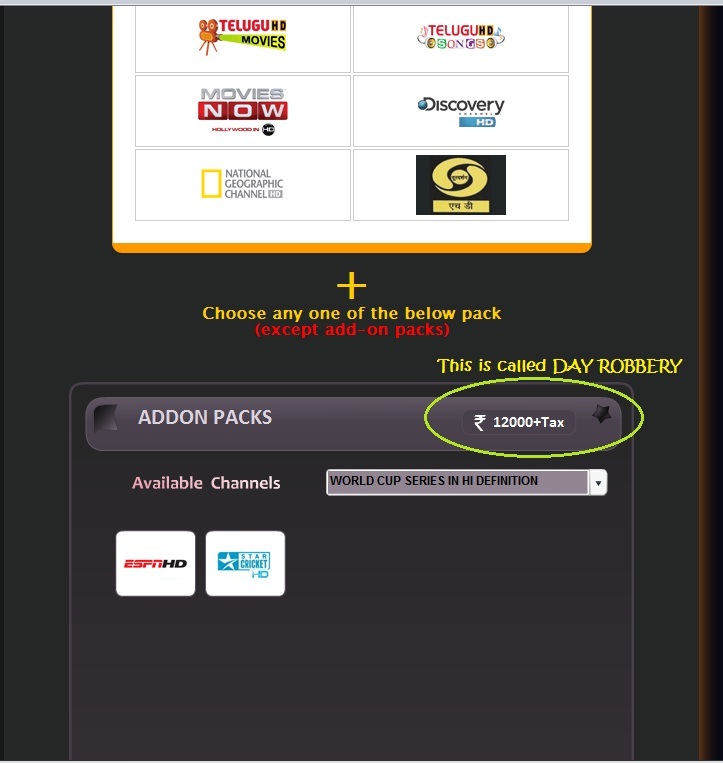 Recent update on the sun dth HD page reveals that their World cup 2011 HD pack is Rs 12,000/- . If you guys booked it yesterday , you could have saved 9k Rs .. coz yesterday it was around Rs 3000/- . I think someone is playing an inside joke. Enjoy your costliest HD Add-On pack ever in India , anyone planning to buy ?